no matter what age or ability level. which are groomed to perfection every day. 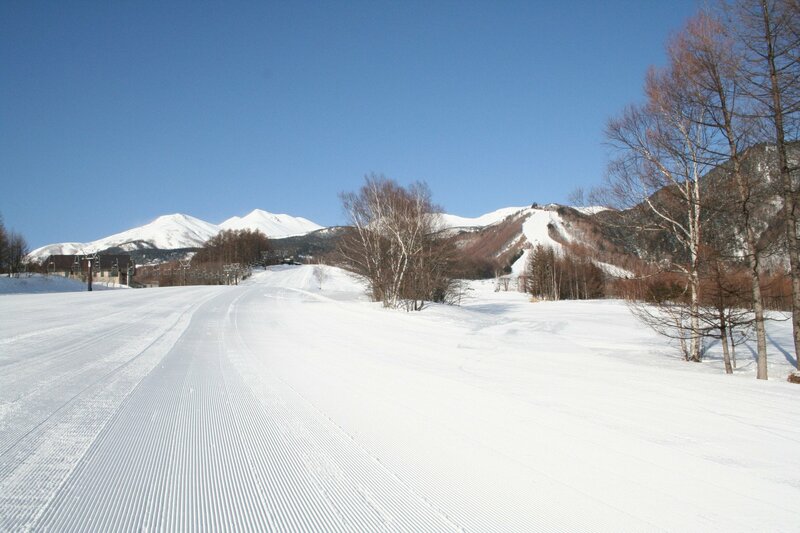 Slalom course w/poles, and beautiful back-country fields.
. . . one of the finest powder snow slope in Honshu. heavily Moguled course, enjoy stressing technical turn!
. . . make a jump & turn w/rails, Kickers and Big bumps. Flatdownrail/Flatdown-box . . . 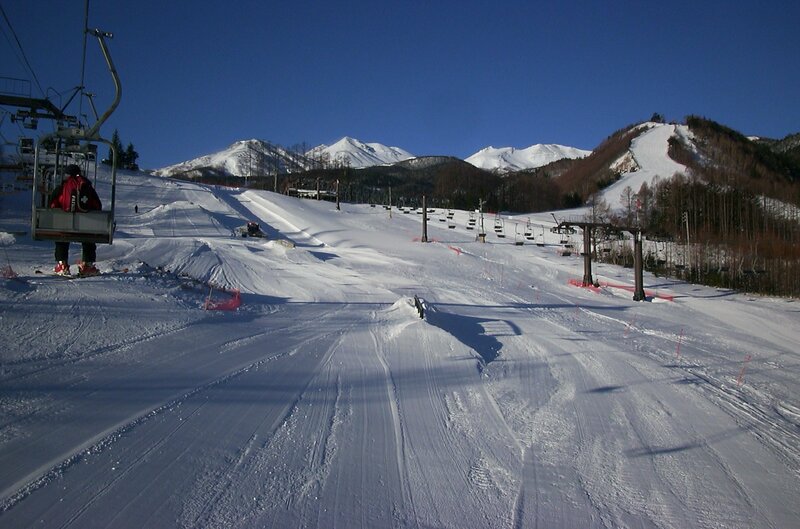 Expert, Challenge, Alpen, and Mogul course w/bumps bumps bumps . . . Technical, Finish and Kamoshika. or snowboards and have fun playing in the snow. Free Parking Lots and Locker Rooms are available. * Hours of operation: 8:45am.- 4:30pm. 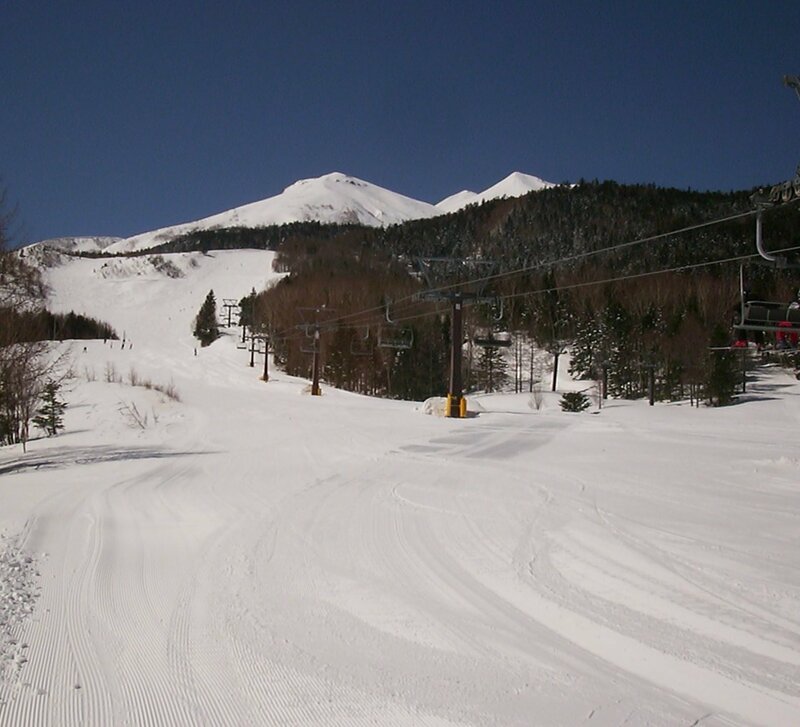 * All trails are opened for snowboarders also. 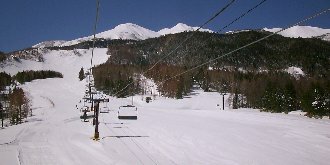 Ski Shop offers the latest equipment in ski & snowboard rentals. SALOMON / ROSSIGNOL / ATMIC / K2/DYNASTAR & etc. 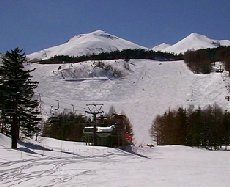 Ski and snowboard rental shops conveniently located at near ski slopes. - The rental shop of Restaurant YAMABOSHI (P3). 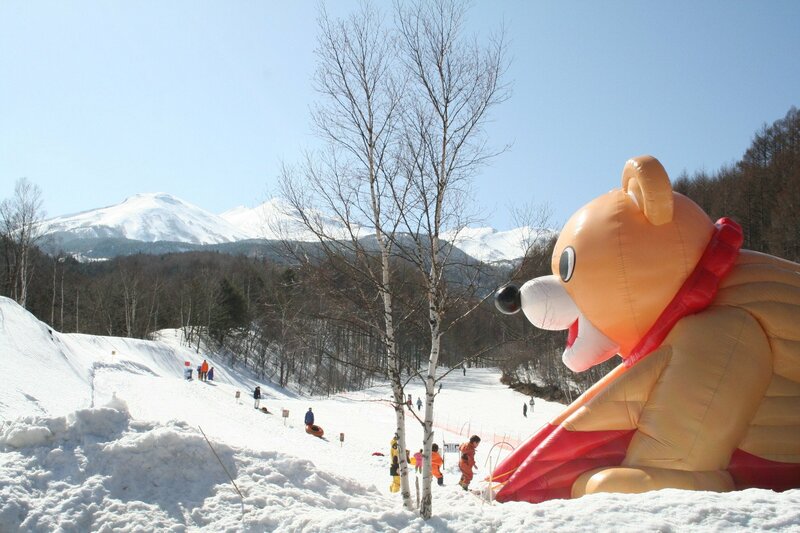 - The Ski House of Kyukamura Hotel (P5). * Rental rates are different depend on the shop. No matter what your skill level, they can take you to the next level. 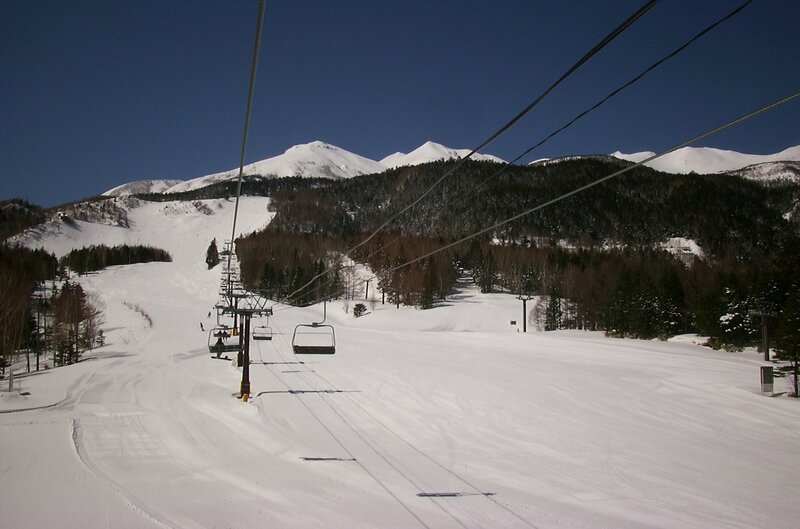 Discount rates are available for groups of 10 or more.